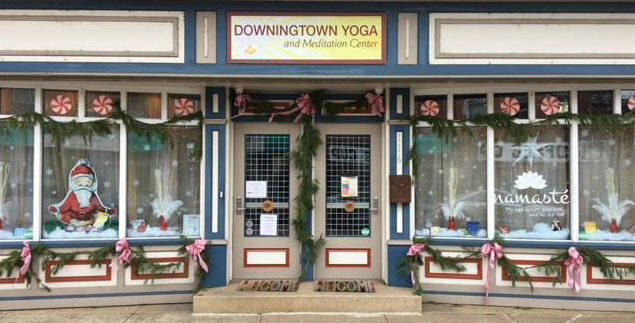 THANK YOU to all of you who voted for our beautiful and inspiring window for the Downingtown Christmas Store-Front Contest, which featured yogic values in the midst of a traditional Christmas. 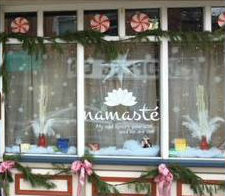 We are delighted to announce that our windows won FIRST PLACE! And we're taking fresh-baked chocolate chip cookies around to the other shops, along with free passes to yoga classes, as a consolation prize to everyone else. 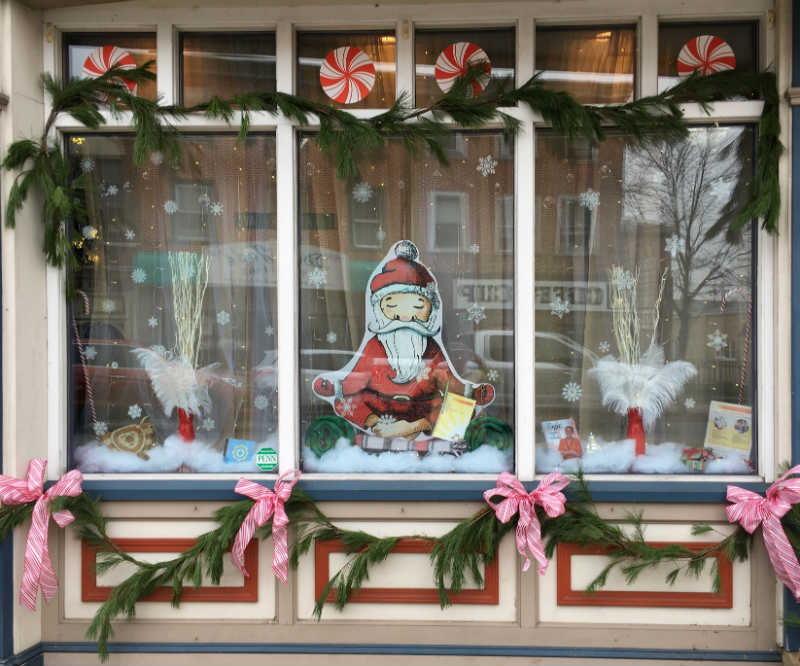 Click here to read about the other contestants and the Christmas Parade. Please stop by to see it in person, and click here sign up for one of our many yoga and meditation programs.